Alor Setar (Jawi: الور ستار), formerly known as Alor Star from 2004–2008, is a city and the state capital of Kedah, Malaysia; It is the second largest city in the state after Sungai Petani based on the populations. ; important cities in the west coast of Peninsular Malaysia along the longest expressway, located 400 km from Kuala Lumpur and 79 km (49 mi) north of George Town, Penang. The city is home to the Central State Administration Centre and is the administrative centre of Kota Setar District. Alor Setar is one of the unique state for Malaysia because the government sector and schools in 'tip of Malaysia' city here operate from Sunday to Thursday every week, which is different from neighbouring states. Its location along the main travel route from Malaysia to Thailand has long made it a major transportation hub in the northern Malay Peninsula. At present, the city covers a land area of 666 square kilometres, which is occupied by more than 300,000 inhabitants (as per the 2010 census). At the local government level, Alor Setar is administered by the Alor Setar City Council. The city is served by the Sultan Abdul Halim Airport, which began operations in 2006. The airport is not served by any commercial international flights; however, during the Haj season, there are special flights available for Muslim pilgrims journeying to Saudi Arabia to perform the Haj. The city is connected to other parts of Peninsular Malaysia by the North–South Expressway, the Shahab Perdana Bus Station and the Alor Setar railway station. The city's Kuala Kedah Jetty is served by ferries linking the city with the popular resort island of Langkawi. 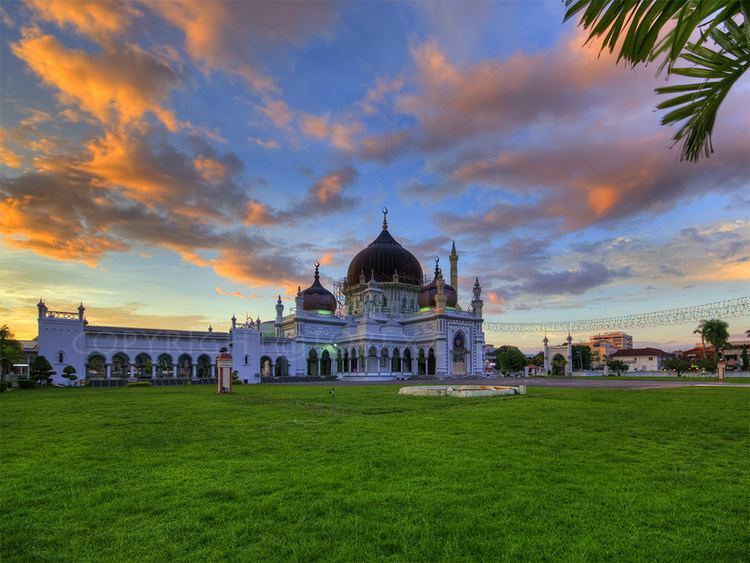 Alor Setar is the birthplace of two Prime Ministers, YTM Tunku Abdul Rahman, Malaysia's first Prime Minister, and Tun Dr. Mahathir bin Mohamad, Malaysia's fourth Prime Minister. The city's name was changed to Alor Star during 21 December 2003 ceremony proclaiming it a city. The city's previous name was restored on 15 January 2009. Alor Setar was founded in 1735 by Kedah's 19th Ruler, Sultan Muhammad Jiwa Zainal Adilin II and is the state's eighth administrative centre since the establishment of the Kedah Sultanate in 1136. The earlier administrative centres were located in Kota Bukit Meriam, Kota Sungai Emas, Kota Siputeh, Kota Naga, Kota Sena, Kota Indera Kayangan and Kota Bukit Pinang. Significant events held here included the handing back of Perlis and Setul (now Satun) to Kedah by the Siamese in May 1897 (both provinces were separated from Kedah since 1821) and a 90-day festival from June to September 1904 to celebrate the wedding of the five children of Sultan Abdul Hamid Halim Shah. Alor Setar had been granted as a city – the ninth in Malaysia, on 21 December 2003. The proclamation ceremony to declare the Kedah capital a city was held at Dataran Tunku, Alor Setar. Among those present at the historic ceremony were the Kedah's Sultan Tuanku Abdul Halim Mu'adzam Shah and his consort Che' Puan Haminah Hamidun, the Raja Muda of Kedah and Raja Puan Muda (Heir Apparent of Kedah State and his consort), members of the Kedah royalty, parliament members and state exco members. The ceremony was also witnessed by civilians and tourists. Alor Setar is located in the north-western part of Peninsular Malaysia. 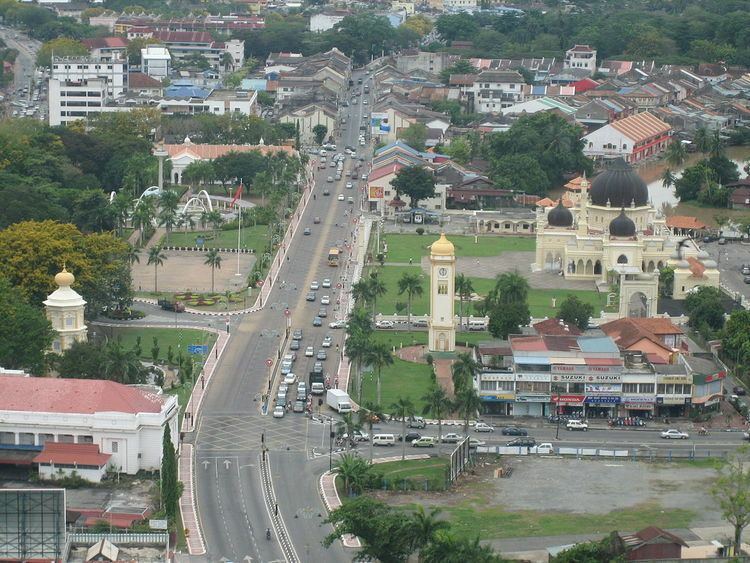 The Kota Setar district includes the city of Alor Setar with a population of more than 366,787 (2010) people in Kedah. It also borders the districts of Kubang Pasu, Pokok Sena and Pendang. Located at Coordinates 6 ° 7'N 100 ° 22'E, Alor Setar is located at the edge of the Malacca Strait which separates Malaysia from Indonesia. The city once encompassed an area of 666 km²; however, it was reduced to 424 km² due to the creation of the new district of Pokok Sena. Alor Setar is surrounded by important river systems such as the Kedah River, River Langgar, Tajar River, Anak Bukit River, Alor Malai and Alor Merah. As with nearly all parts of Malaysia, Alor Setar features a tropical monsoon climate under the Köppen climate classification. Alor Setar has a very lengthy wet season. As is common in several regions with this climate, precipitation is seen even during the short dry season. Temperatures are relatively consistent throughout the course of the year, with average high temperatures around 32 degrees Celsius and average low temperatures around 23 degrees Celsius. Alor Setar sees on average roughly 2300 mm of precipitation per year. Initially the function of the building was as the Balai Rong Seri or Balai Penghadapan (audience hall), that was situated at the back area of the Kota Setar Palace complex (Istana Kota Setar). The original building was built in 1735 by HRH Sultan Muhammad Jiwa Zainal Adilin II, the 19th Sultan of Kedah. The pillars, roofs and floors were made of wood. HRH Sultan Abdul Halim on 20 February 1959. This 18-metre-tall and 5-metre-wide three-tiered octagonal tower sole purpose is to keep all the royal musical instruments including the serunai (wooden flute), nafiri, gendang (drum) and gong, which is known as nobat. Upon the official opening of the Alor Setar town in 1735 by HRH Sultan Muhammad Jiwa Zainal Adilin II, the 19th Sultan of Kedah), a number of early buildings had been completed including the Kota Setar Palace, the Balai Besar, the Balai Nobat and the State Mosque. The original design of the Balai Nobat could not be ascertained but certainly it was built using wood. During the reign of HRH Sultan Ahmad Tajuddin Mukarram Shah, the 23rd Sultan of Kedah), the new Balai Nobat consisting of five-story building was built. The building was totally built of wood with zinc roofing. During the reign of the HRH Sultan Abdul Hamid Halim Shah, the 25th Sultan of Kedah), a new building was built using concrete and metal. The architecture is the same as the previous wooden building. The height was three-story and the dome at its apex represents the Islamic element such as those found on mosques. This new building was built in 1906. The Tou Mu Kung Temple The Tou Mu Kung Temple (Chinese: 斗母宫) is a Taoist temple situated on Jalan Gangsa. Worshipping the Empress Registrar of Birth or Dou Mu (斗母) and Nine Emperor (九皇大帝) deities, the temple has both Taoist and Buddhist influences. Kota Kuala Kedah is the remains of a fort, which for centuries protected the Kuala Kedah Kingdom from naval attacks, on the bank of the Sungai Kedah (Kedah River). Also known as Kota Kuala Bahang, the fort was originally constructed to provide protection against the Portuguese invaders. However, the fort had to stand againse attacks from the Achenese from Sumatra and the Bugis as well. The fort was rebuilt in 1771 and was completed nine years later. As a state museum, it houses a large collection of Kedah's historical, culture, and royal heritage. The collection includes early Chinese porcelain, artefacts from the archaeological excavations in Lembah Bujang (Bujang Valley) and a fabulous pokok bunga emas or 'gold tree' produced as a tribute to the Thais. The museum is also a research centre which specialises on Kedah's cultural history. Before the present premises were built in 1936, the museum – officially opened by the then Kedah Mentri Besar Tan Sri Tunku Ismail Tunku Yahya (Tunku indera Setia), on 3 February 1957 – was located in the Balai Besar (Grand Hall). Located at Gunung Keriang next to the Alor Setar Aquatic Centre and Paddy Museum, the centre is the first science centre built in northern Malaysia region. The museum is the first paddy museum in Malaysia, and the fourth to be opened in the world after Japan, Germany and the Philippines. The museum showcases the rice cultivation process in Malaysia and displays the tools and equipment which are used in the trade over the years. Through beautiful murals, featuring the art work of 60 artists from North Korea, the history of rice cultivation in Malaysia is revealed. The Sultan Abdul Halim Mu'adzam Shah Gallery building was the Alor Setar High Court, before it was moved to Kompleks Mahkamah Alor Setar in Suka Menanti. This building is located at the junction of Jalan Putera, adjacent to the Balai Nobat. This building was built for the existing Balai Seni. This building was built on Rabiulawal 1341 Hijrah equivalent to November 1922. This building which originated from the Kota Setar Palace is a wooden building that was built by HRH Sultan Muhammad Jiwa Zainal Adilin II, the 19th Sultan of Kedah), who was the founder of Alor Setar town in 1735. 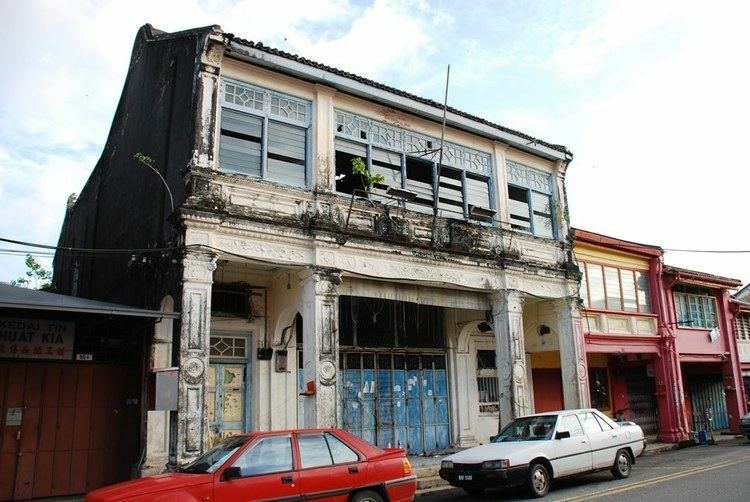 This building had undergone demolitions several times due to attacks by the Bugis (1770) and Siamese (1821). The concrete building was completed during the reign of HRH Sultan Ahmad Tajuddin Mukarram Shah. His Royal Highness had once stayed in this palace with his queen, Wan Hajar Wan Ismail who was also known as "Mak Wan Besar". Therefore, this palace is also known as the "Mak Wan Besar Palace". YTM Tunku Abdul Rahman Putra was also born adjacent to this palace (in the Pagoda building, which no longer exists today) on 8 February 1903 and grew up in this palace with his father the late HRH Sultan Abdul Hamid and his mother Mak Che Manjalara while they resided there. This palace is also renowned as the "Pelamin Palace" after it was extended to include a pavilion and additional rooms, when HRH Sultan Abdul Hamid Halim Shah wanted to marry off his five princes and princesses. The grand wedding ceremony lasted for three months in 1904. After 1941, the palace was used as a school and an office for several organisations including the office for the St. John Ambulance and the Scout movements. On 25 July 1983, this palace was declared the "Kedah Royal Museum". Pekan Rabu is located near the government offices in Alor Setar. Although the name literally means "Wednesday Market", this market is open all week long, and sells a variety of items from tidbits to beautiful handicraft. This is a popular spot amongst tourists and locals and is a source of pride for Kedahans. 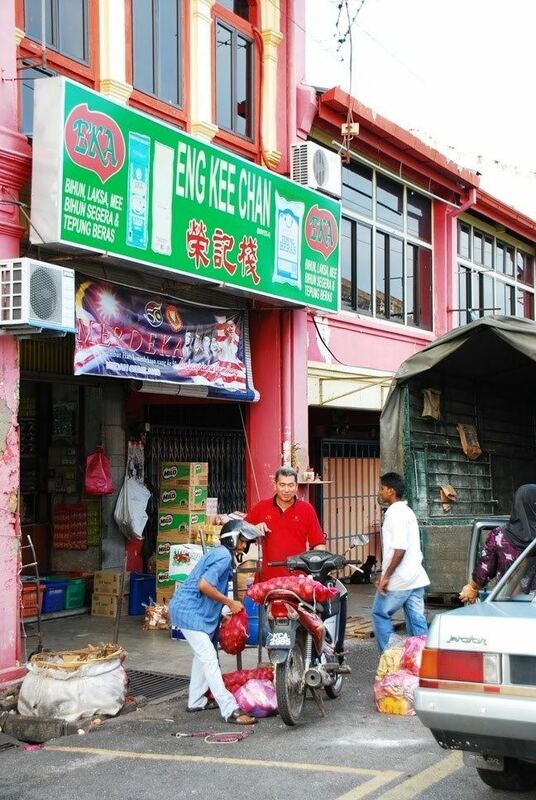 Even former Prime Minister Tun Dr. Mahathir Bin Mohamad was once a trader at Pekan Rabu. 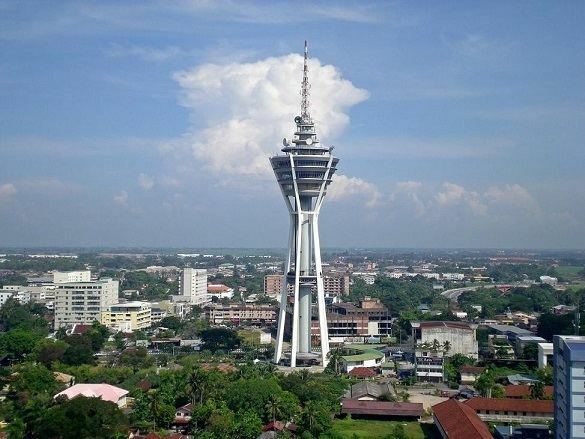 Located in the heart of Alor Setar, this tower, standing at 165.5 metres tall is a prominent and modern landmark that signifies the rapid development in the state of Kedah. This landmark of the state of Kedah Darul Aman not only serves as a telecommunication tower, it is also a tourist attraction which offers the public to enjoy a breathtaking and panoramic view of the city of Alor Setar and its surrounding. The Alor Setar Tower also serves as a recreational centre for art and cultural activities, meeting room and 360' Revolving Restaurant. Wan Mat Saman Aqueduct is the longest aqueduct in Malaysia. It connects Kedah River in Alor Setar to Gurun at the south. This aqueduct was built to enable Kedah rice farmers to boost the state's rice production and through it, to enable Kedah to earn the nickname "Malaysia's rice bowl". Rumah Kelahiran Mahathir which provides an insight into the younger days of the fourth Prime Minister of Malaysia, from his school days to his success as a doctor. He was born in Alor Star on 20 December 1925 at No 18 Lorong Kilang Ais, off Jalan Pegawai. His home has since been designated as an historical building and it was restored by the National Archives in 1992. Tunku Abdul Rahman was the first Prime Minister of Malaysia. This house view Tunku's collection and memorial.Now it was restored and owned by National Archives as a historical building. The Kedah royal mausoleum is located in Langgar near the city. Istana Anak Bukit is the birthplace of Tuanku Abdul Halim Muadzam Shah, the current Sultan of Kedah. The palace served as the Sultan's royal palace. Sungai Anak Bukit which is situated behind the royal palace, flows through Alor Setar and is connected by Sungai Kedah (Kedah River) which flows until Kuala Kedah. Masjid Zahir (Zahir State Mosque) is the state mosque of Kedah and enjoys a royal history and patronage. Built in 1912, its official opening ceremony was held on Friday, 15 October 1915 by the late HRH Sultan Abdul Hamid Halim Shah. The architecture of the mosque was inspired by the Azizi Mosque in Tanjung Pura, Langkat Sultanate (present-day North Sumatra). Wat Nikrodharam is a significant Buddhist shrine in the city. It is located at Jalan Teluk Wan Jah, just next to the city's primary roundabout. Its architecture reflects strong Thai elements with minor Chinese motifs. It is also a sanctuary and an oasis in the city centre with trees and shades providing spiritual shelter to Buddhists from the city and abroad. Both Theravada and Mahayana Buddhist traditions are cherished here. Kedahan Malay made up the majority in Alor Setar, followed by Chinese, Indian, and Thai. Kolej Universiti Insaniah (KUIN, formerly known as Kolej Insaniah or INSANIAH) is located in Mergong. Albukhary International University (AIU) will be the newest private institution of higher learning in this city and located in the Albukhary Complex. Other institutions of higher learning in Alor Setar include Open University (opposite PNB),Nursing College (Kolej Kejururawatan), Institut Kemahiran Mara (Tongkang Yard), Kolej Poly-Tech MARA at Jalan Putra, also locate in Mergong which is owned by Majlis Amanah Rakyat or MARA and Kolej Tentera Udara (Royal Air Force College) also located in Kepala Batas, Alor Setar.Alor Setar is served by many primary and secondary schools..
Alor Setar have many sport facilities that are open to public. The facilities includes Stadium Darulaman which is located in Jalan Stadium and Lebuhraya Darul Aman. It is used mostly for football matches and is the official stadium for Malaysian Super League's club Kedah FA and Malaysian Premier League's club Kuala Muda NAZA FC.. The stadium was built in 1967 and has a capacity of 32,387 seats after the expansion in 1997. It was one of the venues for the 1997 FIFA World Youth Championship. Other facilities are Stadium Sultan Abdul Halim, Pusat Akuatik Alor Setar, Kompleks Belia & Sukan. 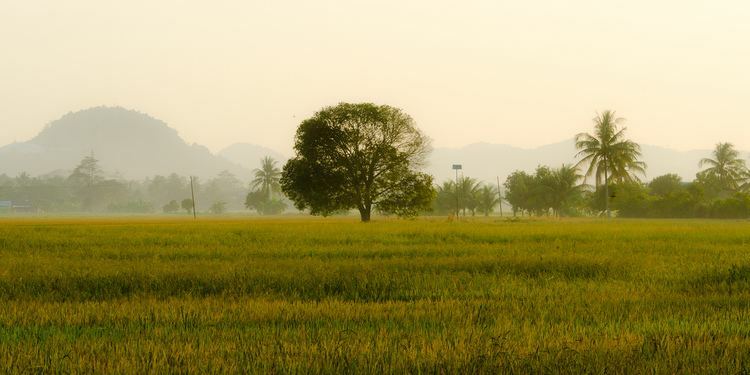 The capital of Kedah is approachable from all parts of the Peninsular Malaysia by all transport means. The North–South Expressway, which starts from Bukit Kayu Hitam (Malaysia–Thai border town) until Singapore, has made it easy for any traveller to drive up to Kedah. Roads are accessible from and to major towns and cities in Peninsula Malaysia. It is a 6–7-hour drive from Kuala Lumpur and 1.5-hour drive from Penang via North–South Expressway. From major towns, such as Kuala Lumpur and Penang, air-conditioned express buses are also available. Travellers can drive to Alor Setar by car from south and north via North–South Expressway, from east coast via East–West Highway (Lebuhraya Timur Barat). Towns such as Butterworth and Kangar etc., can also be accessed from Alor Setar. Car rental services are available, which their offices can be found at airport, train station or in the city. Most of bus companies in Peninsular Malaysia provide air-conditioned express bus services. Tickets can be bought at bus terminals or ticket offices. All buses that arrive in Alor Setar stop at Shahab Perdana Terminal Bus, Alor Setar. Those who wish to travel to other towns, including Thailand, can catch their bus at this terminal. Local bus services are also available. They serve almost all towns in Kedah. Train services are provided by Keretapi Tanah Melayu Berhad (KTMB). The train services are between Kuala Lumpur and Alor Setar, Butterworth and Alor Setar, Padang Besar and Alor Setar, Hat Yai and Alor Setar, and, Singapore and Alor Setar. Alor Setar railway station is located near to the CBD. (Will moved to Anak Bukit International Railway Station when the electrical twin rail (Ipoh, Perak to Padang Besar, Perlis) project is finished.) Tickets can be obtained from train station or online booking. There is also an international express train service to Bangkok, Thailand, operated by State Railway of Thailand. The newly built state-of-the-art Sultan Abdul Halim Airport (Alor Setar Airport, IATA: AOR) is located at Kepala Batas, 15 km north from city. It serves mostly domestic flights. Malaysia Airlines, Firefly, Malindo Air and AirAsia fly daily to and from Alor Setar and Kuala Lumpur. AS from 9 September 2013 Malaysian Airline System connects Alor Setar with a direct flight to Madinah and Jeddah for the Hajj flight. Passenger ferry services to and from Langkawi to Kuah Ferry Service are provided at Jeti Kuala Kedah, Alor Setar. The jetty is located 15 km west from city. Travellers can take bus or taxi from city to the jetty. According to the Ninth Malaysia Plan, by the year 2010, Bandar Muadzam Shah in Anak Bukit will become the new Administrative Centre after Alor Setar city. Bandar Muadzam Shah (Anak Bukit) is going through major development of infrastructures. This includes the new Anak Bukit police station, new National Registration Department(Jabatan Pendaftaran Negara) of Kedah and also new state government buildings.The new railway station (Anak Bukit International Rail Station) will also be built here when the electrified twin railway project is completed.